There was a great buzz in the SNAP studio with all the lithographers doing there thing during Marc Siegner's class last night. 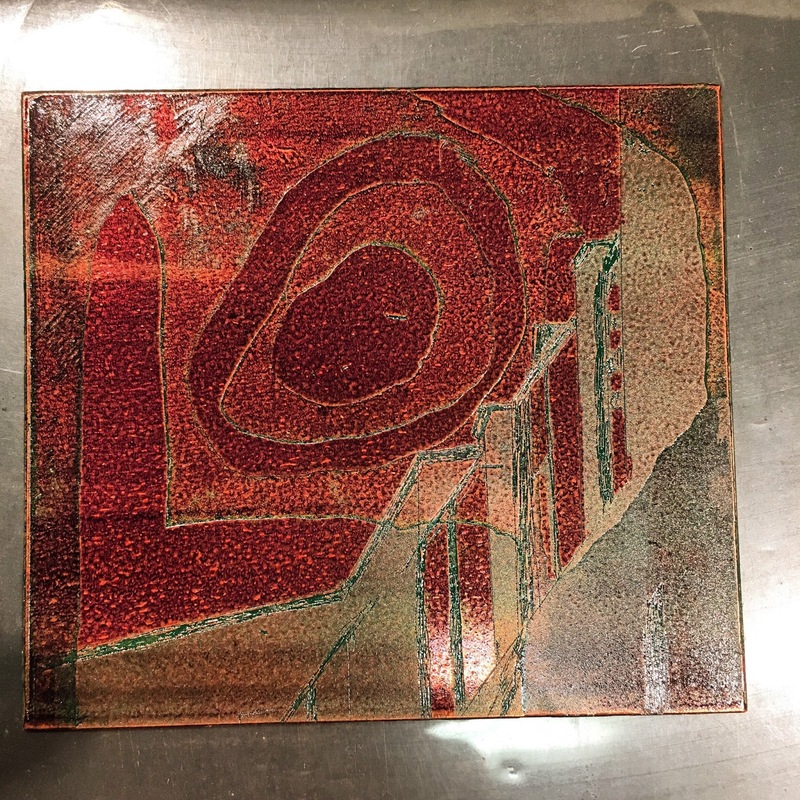 I stayed late and worked on a few new viscosity print plates. Thanks Don Colpitts for hanging out and taking this photo of my copper plate. It was great fun to see how the prints turned out, I think I am beginning to understand how this works. Always different, always unpredictable. Then late at night when the studio was quite, I painted and pulled a couple more monotypes. Working this way is so satisfying.